In 2016, the Genesee Country Village & Museum celebrates 40 years of bringing history to life for visitors from all over the world. Here are 40 reasons you should plan your next visit to Rochester, NY and spend a day at the Genesee Country Village & Museum. 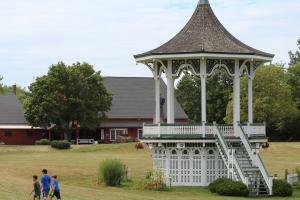 Genesee Country Village & Museum is the largest living museum in New York State, it has over 700 acres to explore and 68 historic structures furnished with 15,000 artifacts. There is just so much to see you will come back year after year. 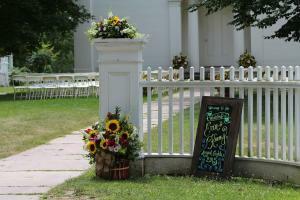 Heirloom gardens are nestled along walkways and buildings throughout the village. More than just providing beautiful blooms for the visitors to enjoy, the fruit, vegetables, and herbs grown on premise are also used by village interpreters for demonstrations in creating meals, medicines and dyes. The season starts every Mother’s Day weekend and Mom is free that Sunday. Take her on a special trip through American history and don’t forget to pick her up something nice from the gift shop. 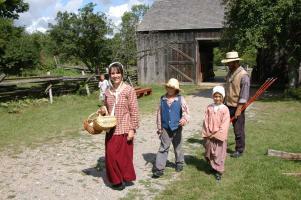 The museum hosts re-enactments and historic interpretations throughout the season. 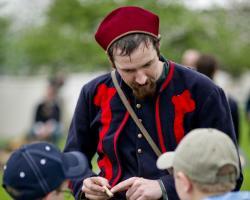 Including the War of 1812 re-enactment each June and the Civil War re-enactment each July. These events allow visitors to interact and ask questions with history as they learn about the lives and challenges of the people who lived through these events. 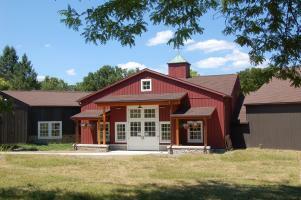 The Genesee Country Village & Museum has 5 themed nature trails for visitors to enjoy. Each features its own habitats. 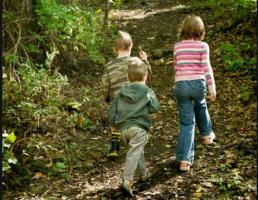 Stick to the trail maps or try your hand at letterboxing or orienteering. For anyone who has ever read a book and wished to be transported to that world, the Genesee Country Village & Museum is the place for you. 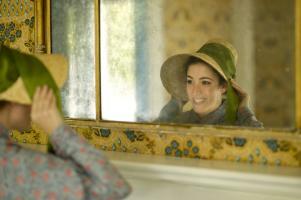 With special weekends like Laura Ingalls Wilder Days and Jane Austen Weekend bookworms will love playing out their favorite stories. From marching drum and fife, to visiting performances, the Genesee Village & Museum has hosted an array of musical acts and entertainment. 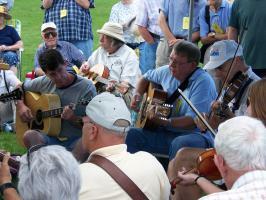 Each summer musicians from all over New York State perform on 4 stages for a weekend of non-stop entertainment during the Old-Time Fiddlers Fair. No, that’s not a miss-spelling; in the 19th century America’s favorite pastime was spelled as two words. It was also played with brown balls, double-knobbed bats, and no gloves. 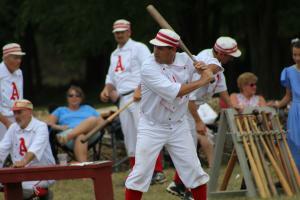 Each year the village hosts the National Silver Ball Tournament, where both men’s and women’s vintage base ball clubs from around the Northeast, Midwest and Canada compete for the championship. 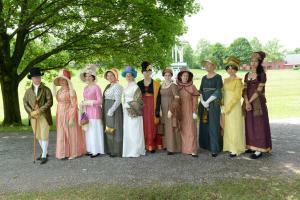 Celebrate Independence Day with all the fanfare and pageantry of the 19th century. Think of family fun games, marching bands and cherry pie. 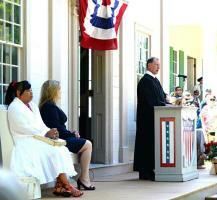 The highlight of the day is the swearing-in ceremony of new American citizens on the steps of the Town Hall. You won&apos;t want to miss this memorable moment as nearly 50 people from countries all over the world swear their allegiance to the American flag. 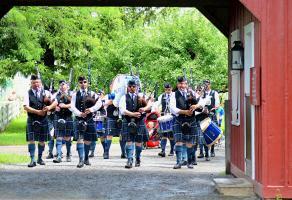 Celebrate Celtic American culture and the important role they played in shaping Western New York. Visitors will discover the culture, history and traditions of the Scots and Irish through musical performances by regional pipe bands, dance demonstrations from local schools and an array of authentic food and drinks. 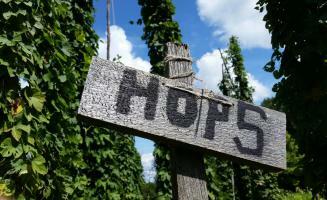 Since the Village features its own brewery and grows their own heirloom gardens, of course they also grow their own hops. To celebrate the harvest, visitors are invited to join the festivities including hands-on hop-picking, beer tasting at the brewery, cooking demonstrations, a craft beer and chocolate pairing, barrel rolling and sack races, German food and crafts, and a hops dance party. Groups of 20 people or more can experience the museum in a guided trolley tour, or self-guided at a discounted rate! 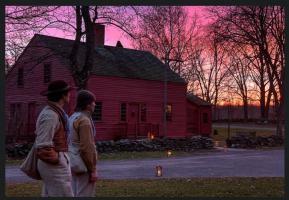 Spirits of the Past weekends in October are special guided tours through the candlelit and spooky streets of the historic village where visitors will find costumed characters spinning tales from iconic horror literature of the 19th century. Reservations are required and tickets sell out fast so get yours soon or you’ll miss it…now that’s scary. 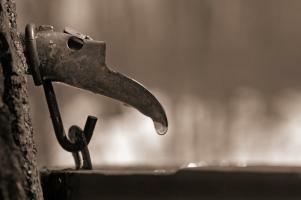 For younger visitors Halloween fun doesn’t have to be spooky. 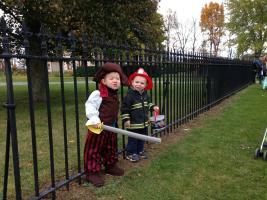 Costumed children (8 and under) with an accompanying adult will enjoy character meet and greets, face painting, games, stories and of course trick or treating at the historic homes throughout the village. 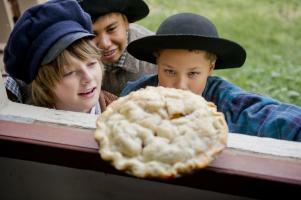 The Fall Festival and Agricultural Fair held each October is a celebration of the harvest season. Shop at more than a dozen vendors at the farmers market. Witness the exhibitions in more than 150 categories of judged baked goods, preserves, hand-made needlecrafts and the industrial arts—including tin, iron and wooden wares, pottery, cooperage (barrel making), printing, and broom and soap making. 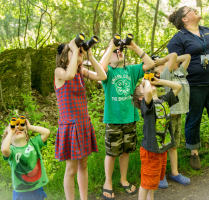 The Genesee Country Village & Museum is the perfect place for students to learn about history or nature through hands-on and fun learning experiences. The museum offers a variety of summer camp programs and school trip opportunities. The John L. Wehle Gallery houses an extraordinary collection wildlife and sporting art spanning four centuries. Visitors will also discover one of the best privately held collections of historic clothing in the country. Guests are welcome to bring their own picnic lunch; however 2 restaurants, the Depot Restaurant & Freight House Pub, offer a delicious selection of food and snacks to enjoy. Two gift shops, one in the village and one at the entrance, offer visitors a chance to shop for hand-made goods from museum artisans, as well as snacks, books, historic toys, games and more. The old-fashioned confectionery found in the historic village at D.B. 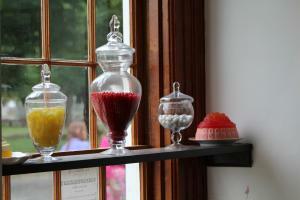 Munger & Co. offers visitors a true confectionery experience with fancy treats for purchase. Find freshly baked authentic or historically inspired delights such as Chelsea buns, fruit tarts, elderberry or other seasonal fruit hand pies or the ever-popular rosewater currant cakes, sugar tea cakes and maple cakes (cookies). 23. Break the Post-Holiday Cabin Fever! Brave the cold and be rewarded with delicious drinks, hilarious games and a trek through the beautiful woods followed by and incredible homemade dinner to top it off. 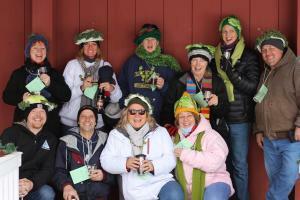 A German tradition, Kohlfahrts are a celebration of the winter kale harvest--and an excuse to have a mid-winter romp. Kids (and adults) will enjoy learning and trying their hand at toys and games from the 19th Century. 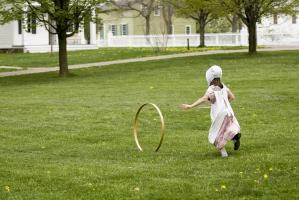 Learn how play has always been an important part of the American experience. 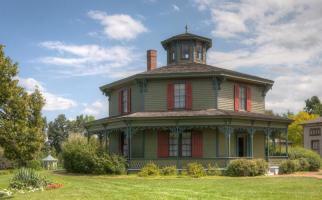 Hyde House, with its Octagon shape is just one of many historic homes visitors can tour in the village. Learn about the construction and meaning behind each of these architectural designs. Visit buildings where people worked and did business including the Land Office, the Blacksmith Shop, the Flint Hill Pottery, the Tinsmith, the Printing office, and many more. 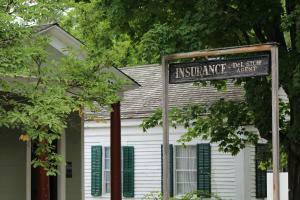 There are more than 20 historic business buildings to visit. 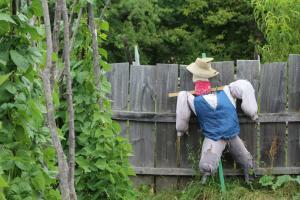 There are artisans of all kinds to visit with at the village. Each will demonstrate how various products were created in the 19th century, like the blacksmith, the tinsmith, the potter, the printer and the brewer. Many of these hand-made products are available for purchase at the museum gift shop. 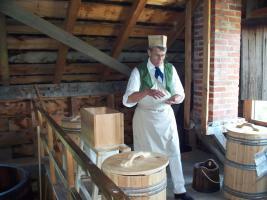 Visitors will also enjoy live cooking demonstrations at various locations throughout the village. Demonstrators use produce grown in the village gardens and some things are available to taste. Even the animals like to show off for visitors. 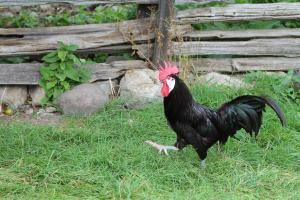 See real livestock such as cows, oxen, chickens, pigs and more who live in the village. You and your family or group can stay over at the museum on select weekends for a true pioneer experience. Spend an unforgettable weekend living at the museum’s pioneer farm and live the life of a pioneer family while museum guests are around, but also in the solitude of a quiet summer night or on a cool autumn evening with the warm glow of firelight and candles illuminating your log home. 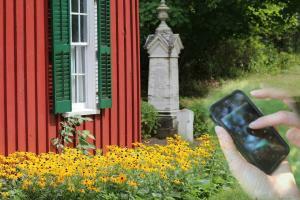 Enrich your visit with the museum&apos;s audio tours, available on your cell phone. 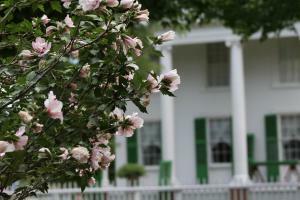 Dial 585.627.4128 to listen to audio tours as you travel through the village. Fifty-seven audio clips are now available, offering information not usually covered by museum interpreters. 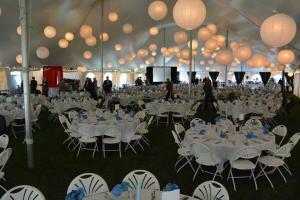 The Genesee Country Village & Museum’s facilities and unique experiences are ideal for your next wedding, corporate event, or family party for a truly one of kind day. 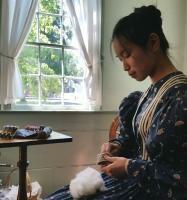 Classes & Living History Experiences in a variety of different 19th-century skills are offered throughout the year at Genesee Country Village & Museum for teens and adults. 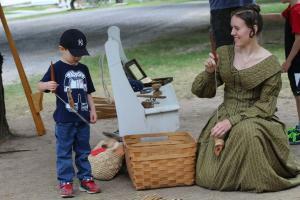 Learn skills in blacksmithing, gardening, cooking, broom-making and more. 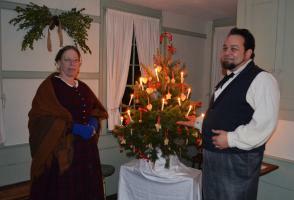 Every November the village prepares for the holiday season and you are invited. Activities include tastings; mold making; sausage stuffing; smoking meats and other meat preserving; candle making; wool spinning; gift making and more! In this special, but more traditional start to the season, kids are invited to crawl up on Santa’s lap and whisper their innermost wishes for this Christmas. In addition to the encounter with the 19th-century Jolly Old Elf, the museum is serving a kid-delicious breakfast. 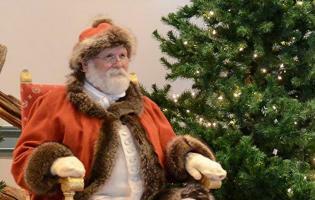 Each child will also receive a 19th-century treat from Santa. 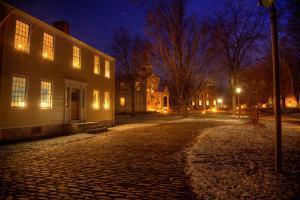 Register for of 9 special evenings in December where tour guides will lead guests through the snow-covered streets in the year 1849 when New York declared Christmas, Independence Day and New Year’s Day state holidays. Enjoy music, dancing and tree lighting as you visit village homes and businesses to see how residents react to the news of Christmas as a holiday! During the winter, snowshoe ($6) and cross country ski ($12) rentals are available on a first-come basis. Call ahead for snow and trail conditions. 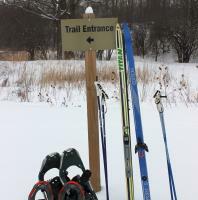 Rentals and trail maps available. When the snow begins to thaw and the temperate is just right, there is nothing sweeter than New York State Maple syrup. 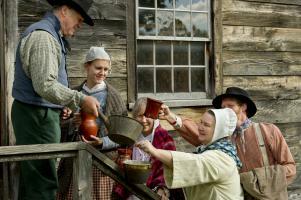 Visit the Genesee Country Village & Museum and experience the special season at the maple sugar camp. 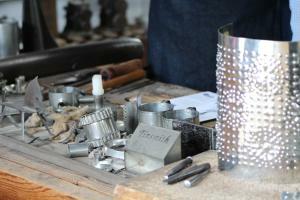 Learn how the tinsmith and the cooper crafted the buckets, spiles and troughs used to catch the sap. Watch as trees are tapped live on the Village Square, and taste the delicious 19th-century dishes made with the thick amber treasure of our New York forests. 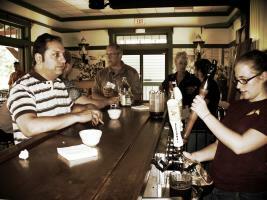 The Genesee Country Village & Museum is now offering After Hours tours (3 times this summer) from 5-6 PM. These special themed tours include “Murder & Mayhem”, “Upstairs & Downstairs”, and “Ghost Stories.” Purchase tickets in advance. Most of the people you meet in the village and museum including interpreters, re-enactors, artisans, cooks, and more are volunteers. 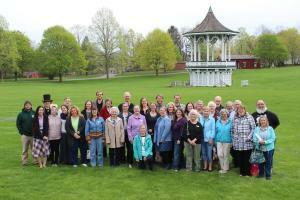 These individuals are passionate and knowledgeable about the history of New York State. They are friendly, warm and love to talk with visitors. 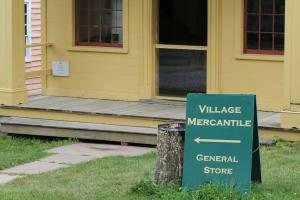 They are what makes a visit to the Genesee Country Village & Museum such a wonderful experience and we thank them!